The Pacific Northwest is well known for its epic mountains, opulent forests, ravishing lakes, and stellar craft breweries. Outdoor enthusiasts especially enjoy the immaculate wilderness surrounding the major cities, the excellent beer and cider, and potentially a music festival depending on the season. With something for everyone – even those on a budget – discover five wonderful yet inexpensive havens for getting out of town whether it’s a weekend or a week away. Miracle Hot Springs sits in a little nook adjacent the Snake River in Idaho’s gorgeous Magic Valley, so named for the brilliant waterfalls and abundance of geothermal springs that line the canyon walls. You won’t be disappointed by the sights you see driving along the highway to your destination, especially during the spring when snowmelt is abundant. Upon arrival, you’ll note that Miracle Hot Springs has four large outdoor pools, all kept at different temperatures so you can choose what’s best for your perfect soak. They also have a number of private and VIP spas rentable by the hour; be rest assured all are very clean and reasonably priced. Miracle is a local go-to for the overworked and tired, and each Idaho hot spring has its own unique mineral profile; Miracle’s is well known for easing sore muscles. 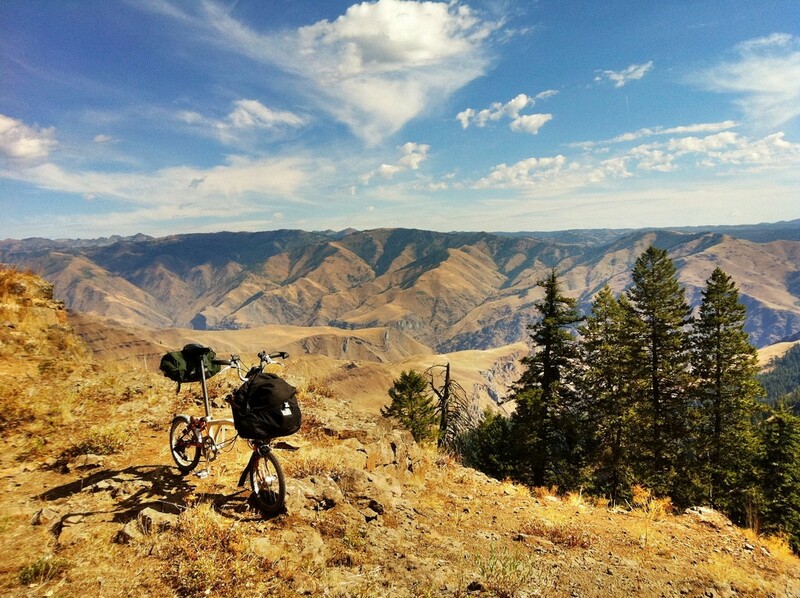 If you love the outdoors and you’re looking for the ultimate budget vacation, Hell’s Canyon is the place for you. With inexpensive RV and tent camping at the base of the canyon, to several free spots deeper along the reservoir (including a veritable treasure trove of completely free and secluded areas deep in the canyon accessible only by hiking or whitewater raft), there is something for every level of outdoor enthusiast. One of the most enjoyable but lesser known areas of the canyon is The Big Bar, formed from centuries of runoff and erosion that basically deposited a delta of mineral-rich soil alongside and into the river. Along this delta sprawls a lush, shady orchard, and a span of berry briars. If you go mid-August through September, the berries, apricots, and plums will all be ripe, and you can pick fruit freely and fish all day long for meals. The Big Bar also boasts the canyon’s shadiest and coolest camping spots (which are all free) and a number of delightful swimming holes. Because of the way the delta has formed, you can walk out into the middle of the river, over 150 feet in some areas, without going more than knee-deep. Hell’s Canyon National Recreation Area is also home to world class hiking, sightseeing, and white water rapids. If rapids are a bit too much for you, you can charter a jet boat tour of the canyon for under $100. If you’re lucky you may come across thirty varieties of bird and two varieties of bear in the same day, and wind down around the campfire at night to the sound of birds, frogs, and the occasional coyote. 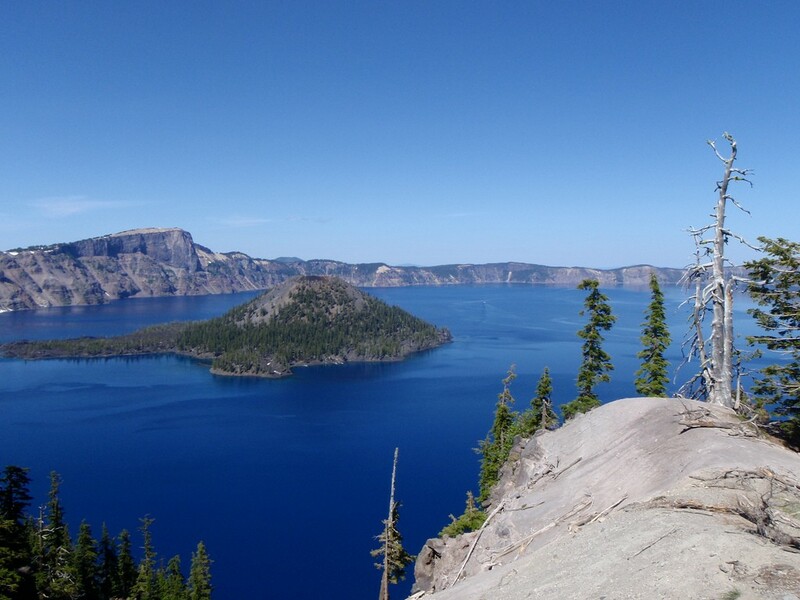 Crater Lake is definitely a top Pacific NW destination. The views are absolutely outstanding, the history and ecology of the lake and surrounding area are beyond fascinating, and the high-altitude cool weather is always a great solace come Summer – sometimes you can even spot snow as late as August. The lake itself sits in the caldera of Mount Mazama, which exploded with a force 42 times greater than that of Mount St. Helens almost 8,000 years ago. The heat was so intense that it completely sealed the bottom of the caldera, making it a perfect place to collect water and form a pristine lake over the coming centuries. Crater lake has some of the clearest water in the world, and it is the deepest lake in the entire U.S.
Crater Lake National Park is a federally recognized park, which means it has an amphitheater that hosts ranger talks. These are great for all ages, inviting families to sit around the campfire at night and listen to an expert park ranger expound on all manner of local history, geology, ecology and more. Enjoy a hike, or learn more at the park’s museum and visitor center. Camping at Crater Lake is reasonably priced, with everything from a site with full accommodations to backwoods roughing it for privacy. If you have a larger budget, or if it’s too cold to camp (which frankly is most of the year), stay in a cabin, or opt for a hotel room overlooking the lake. 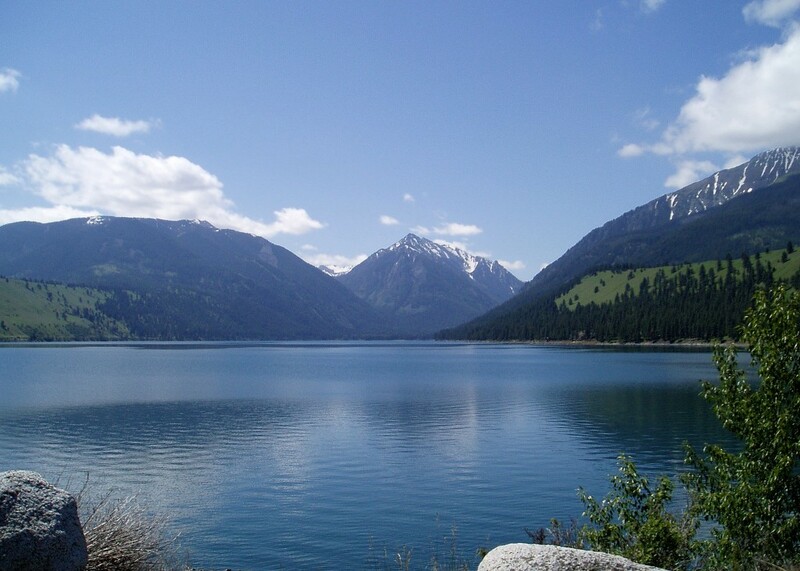 Wallowa Lake is surrounded on three sides by the stunningly tall and steep Eagle Cap Mountains, and the lake itself was carved out by a passing glacier centuries ago. The water is clear and blue, and you can’t help but feel safe and comfortable nestled into a cove at the feet of these intimidating mountains. The lake features floating docks in the middle only accessible by boat (or olympic-level swimming), but for under $100, you can rent a motorboat for half the day, or a rowboat for the whole day and head out there yourself. Once out on the lake, enjoy fishing, scenery, or snag up one of the docks to have an intimate, secluded picnic. Wallowa Lake is an Oregon State Park, which means they also host ranger talks at night, and there are bumper boats, mini golf, and an arcade to keep the kiddos occupied. Camp sites and cabins are all very family-friendly and a great place to introduce kids to the tradition of s’mores for the first time. Don’t forget to visit the nearby gravesite of the famous Chief Joseph, best known for his declaration, “from where the sun now stands, I will fight no more forever.” And you absolutely cannot visit Wallowa Lake without riding the tram up to the summit of Mt. Howard. The steepest tramway in North America (you are taken up nearly 4,000 feet in 15 minutes), you can hike a short distance once at the top and enjoy an almost 360° views that will leave you stunned. There is also a summit cafe with great food and an even better beer and wine selection. Camping at Wallowa Lake is inexpensive, but sites fill up fast, so I suggest planning your trip in advance. A lodge and cabins nearby offer further options, as well as Wildhorse Casino if you are more comfortable with indoor accommodations. Great Wolf Lodge is known for their sprawling indoor water parks, and their location in Grand Mound, Washington is no exception. The splash zones and water slides alone are enough to excite kids and adults alike, but there are also a number of dry land activities available to keep everyone occupied for days, including a ropes course, glow-in-the-dark mini golf, and an arcade. The fact that the entire resort is meant to be enjoyed indoors means that you can plan a vacation full of exploration and activities in the middle of winter (Not that there aren’t plenty of outdoor activities to enjoy nearby). 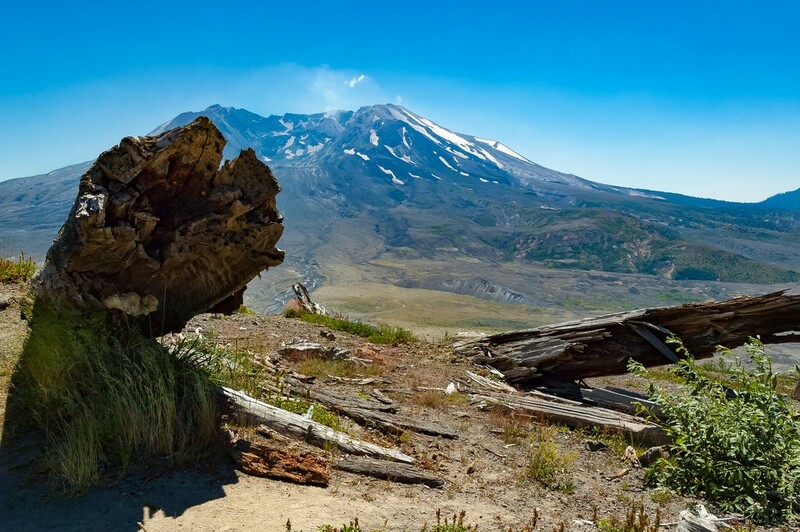 Check out the Mount St. Helens National Volcanic Monument Headquarters, stroll around the Boston Harbor Marina, or go bird watching at the Scatter Creek Wildlife Recreation Area. It’s not the cheapest destination on the list, but as far as resorts and amusement parks go, Great Wolf Lodge is extremely competitively priced, and doable for most family budgets. On top of that, they have a number of specials and discounts available, so be sure to look into those before you book your vacation.